A common theme across all of my visits in Champagne (both in 2010 and 2012), is the importance of vineyards, and particularly growers. This was the major theme of my first visit of the day. 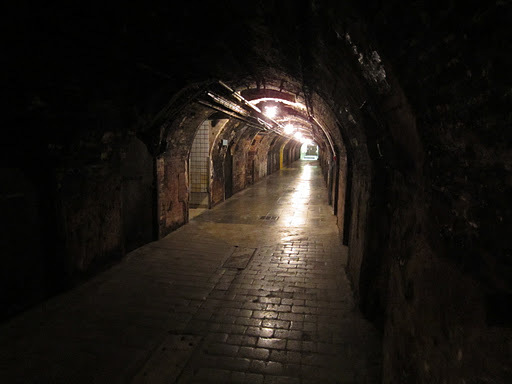 Something even more important in Champagne that I have stumbled upon is the pioneering women of the region, many of whom not only kept houses operating after husbands or fathers perished, but dramatically improving quality. It is undeniable that the largest market for champagne in every market is female consumers, so I feel they are missing out on an opportunity to empower their consumers through communications and messaging about the pioneering spirit of women Champenois. This was a discussion point of my second visit of the day. 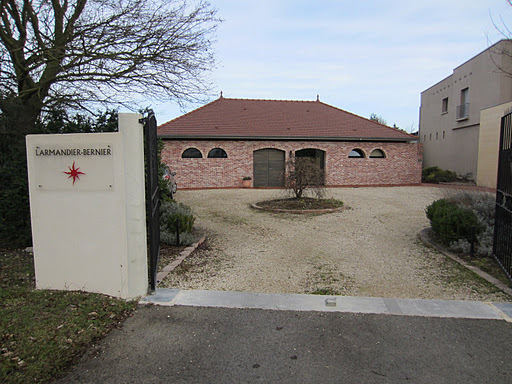 Deep in the Cotes de Blancs is the village of Vertus, where I had the opportunity to visit Lamarndier-Bernier, a house that is part of the so-called “grower champagne revolution”. As the name implies, a grower champagne producer only uses fruit they grow themselves to produce their wines. Understandably these productions are very small, and thus don’t come anywhere near the large houses in terms of value and marketing clout. Thus they are relying primarily on quality and their alternative nature, and have banded together to create a stronger message. Totally controlling the vineyards allows them to determine every element of the process from soil to bottle, but at the same time they are in the difficult position of being subject to the vicissitudes of vintage on a microscopic scale. Both exhilarating and risky at the same time, this is extreme Champagne. Larmandier-Bernier (imported by grower champagne experts Bibendum Australia) was founded from tragedy in 1982 when Pierre Larmandier’s father tragically passed away, and his mother allowed him to run the business as he saw fit. Having recently completed his studies in Montpellier, Pierre was motivated to transition all the vineyards to biodynamic practices. This is difficult in a less established and/or small-scale region, but considering the scale of Champagne and the nature of large houses, this is virtually impossible. The weather conditions make biodynamic conversion difficult and costly, and neighbours considered them crazy. Biodynamic viticulture is one of the cornerstones of the brand however, and ultimately has paid dividends in terms of quality and establishing point of difference in a competitive category. 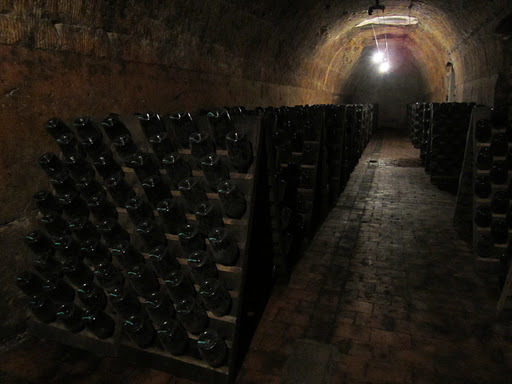 The winery and cellars are understated to say the least, but bling is not really the call of the day. 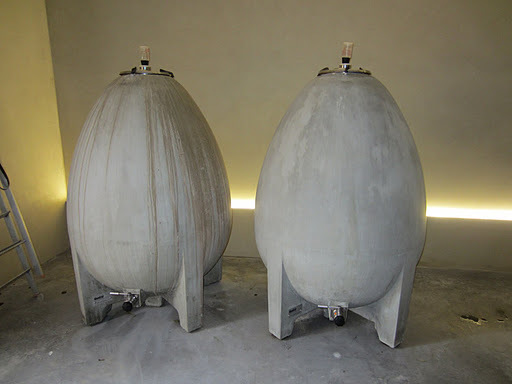 I was excited to see two cement eggs, seemingly a hallmark of BD wineries. 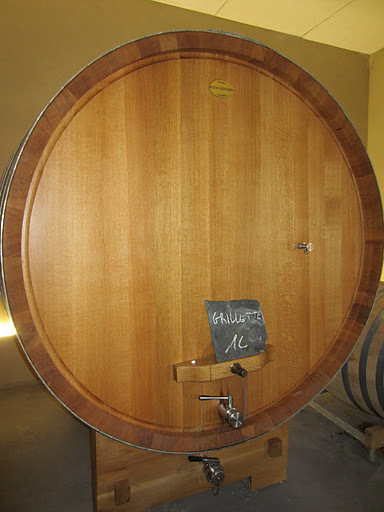 Winemaking is fairly non-interventionist, but there has been increasing fermentation in barrels of varying size, and there is even an Austrian oak foudre purchased a few years ago. Not surprisingly most of the wine is non-vintage, allowing flexibility around the complexity of vintage variation. Pierre has taken a very interesting and unique approach to reserve wines since 2005. Rather than selecting particular base wines to be set aside as reserve, and then selecting various reserve wines in each NV assemblage, he blends a reserve wine each year. This reserve wine includes a portion of the previous years reserve blend, reminiscent of a solera system. Using this system minimises storage space and means there is no chance of reserving wine that may never be used. Pierre showed me through the range of wines, and you can read my notes here. After a brief lunch in Epernay I headed back to Laurent-Perrier in Tours-Sur-Marne for my rescheduled appointment. Laurent-Perrier was probably the largest house I visited on this trip, being third in total value behind Moet & Chandon and Veuve Clicquot Ponsardin. This made quite an interesting comparison for the day, from managing a handful of vineyards and cuvées, to vastly more. Several key elements unified these two houses. The first as already mentioned is they are both family-owned. This feeds into their second similarity, which is their commitment to quality. The third is their similar approach to making rose, in the saignée style, which Laurent-Perrier in particular is famous for. Laurent-Perrier turns 200 this year, which is pretty amazing considering that Australia was settled by the British 24 years before this. The original founder, Alphonse Pierlot was a former cooper and bottler who purchased vineyards in Tours-Sur-Marne, the home of Laurent-Perrier. The successor to Alphonse was his cellarmaster, Eugene Laurent, who ran the house with his wife, Mathilde Emilie Perrier. When Eugene died in 1887 it was up to his widow to take over the operations of the house, and like many other houses in Champagne it was thanks to her that the quality and prestige of the house improved. 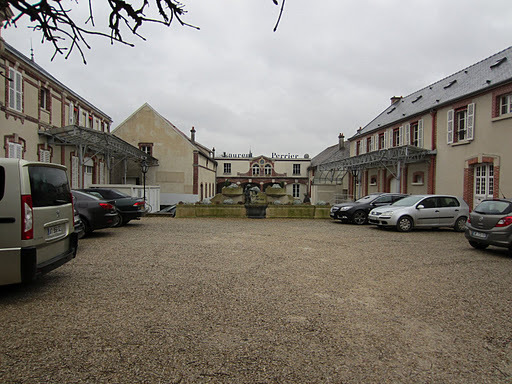 Also like other houses, Laurent-Perrier suffered the difficulties of the early 20th Century and was forced to sell to the Lanson de Nonancourt family, and the surviving son of Mary-Louise Bernard took the house to where it is today, only passing away last year. As already mentioned, the Laurent-Perrier group also owns other houses including Delamotte and Salon. The facilities therefore are well equipped to handle the processing of large amounts of fruit/juice across numerous brands. The cellarmaster Michael Faucconet (only the third since 1939) oversees the styles of all the different brands, a huge responsibility considering. The style is very much of purity and freshness, and has great focus with a concise range. Click here to read my notes from the tasting. Click here to see more photos from Day Five of Champagne, France.